“Vintage furnishings and retro styling make this a fun place to stay, with a laidback atmosphere, too. Well-placed for both the city centre and the more characterful Ixelles and Marolles districts. 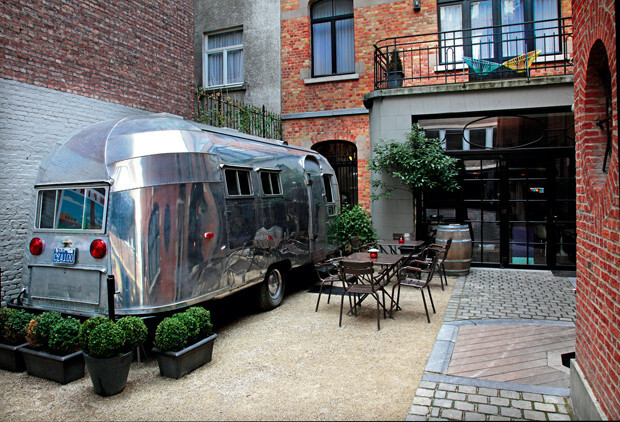 The classic 1950s silver-coloured Airstream - which neatly contains a double-bed, bathrooms and seating area - sitting in the entrance courtyard shows that this hotel is true to its name. Rooms are decorated in a bold, retro style that might include jazzy 1960s wallpapers, bright-coloured shag-pile rugs, smooth Ercol furniture or a spectacular vintage floor-lamp originally used in an operating theatre. Most rooms (apart from the six ‘Easy’ categories and, of course, the Airstream) are generous, and the furnishings carefully placed rather than cluttered. Guests like to stay at the Vintage for the central location, design and cosy atmosphere. Major tourist attractions are only 20 minutes walk away, shopping and the business area less than 5 minutes. 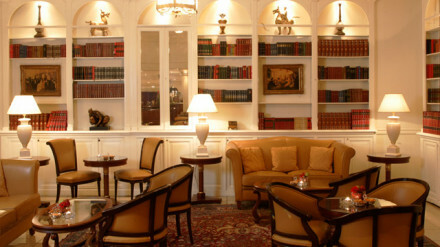 Easy rooms for guests looking for a good value or on a short trip to Brussels. Happy rooms do satisfy the standards for business customers and the Dreamy rooms offer the possibility for families with young childres to get a room for 4 people.